Josh is a Constitutional Law Professor at the South Texas College of Law, Houston who specializes in constitutional law, the United States Supreme Court, and the intersection of law and technology. Josh is the author of Unprecedented: The Constitutional Challenge to Obamacare. Josh was selected by Forbes Magazine for the “30 Under 30″ in Law and Policy. Josh is the founder and President of the Harlan Institute, the founder of FantasySCOTUS.net, the Internet’s Premier Supreme Court Fantasy League, and blogs at JoshBlackman.com. Josh is a graduate of the George Mason University School of Law. 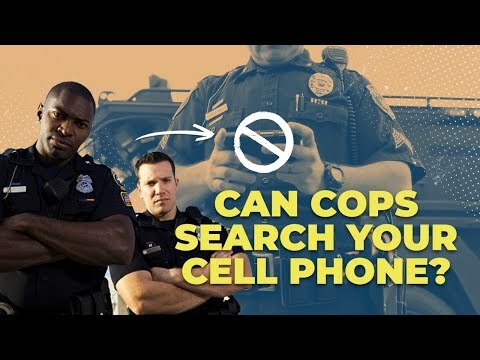 Can Cops Search Your Cell Phone?